In Star Plus most popular daily Ishqbaaz viewers will get to witness fascinating twist as Dadi's major revelation cause rift amid Shakti-Tej & Shivaay-Omkara-Rudra. 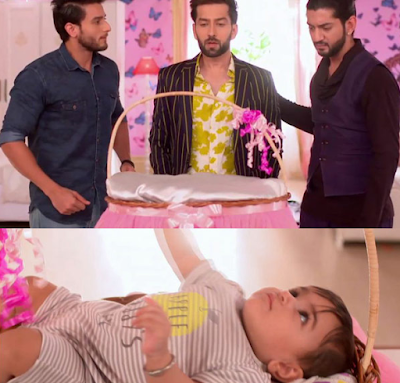 In Coming Episode , Dadi will be the one who will discover the baby in Oberoi Mansion & will disclose the same to entire Oberoi family. Anika-Gauri & Bhavya will get shocked and at the same time Shakti-Pinky and Tej-Jhanvi will also get shocked witnessing baby. Dadi will question everybody about the father of the baby while everybody will remain speechless. additional Shakti and Tej will start fighting and will put the entire blame on youngsters that is Shivaay-Omkara and Rudra. 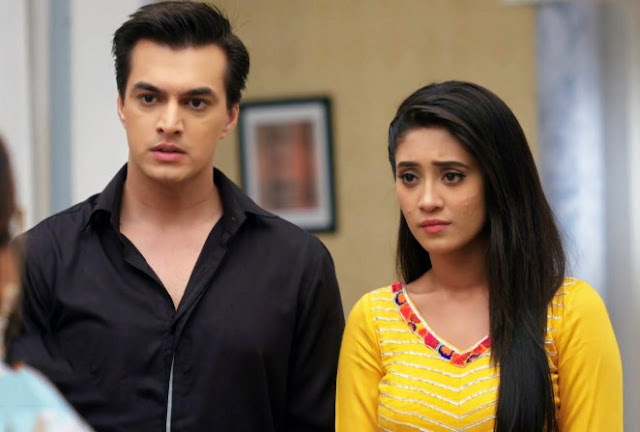 Pinky & Jhanvi will also be seen questioning boys where girls will be seen shocked and furious over boys too. Dadi will thus decide to perform DNA test where Shivaay will take a bold step & accept the baby whole heartedly. It would be really interesting to see what will be the conclusion of this baby track and who turns out to be real parents of the baby. But this baby will surely bring love birds Shivaay-Anika, Omkara-Gauri and Rudra-Bhavya close.